Ten is the debut studio album by the American grunge band Pearl Jam, released on August 27, 1991 through Epic Records. Following the disbanding of bassist Jeff Ament and guitarist Stone Gossard's previous group Mother Love Bone, the two recruited vocalist Eddie Vedder, guitarist Mike McCready, and drummer Dave Krusen to form Pearl Jam in 1990. Most of the songs began as instrumental jams, to which Vedder added lyrics about topics such as depression, homelessness, and abuse. Ten was not an immediate success, but by late 1992 it had reached number two on the Billboard 200 chart. The album produced three hit singles: "Alive", "Even Flow", and "Jeremy". While Pearl Jam was accused of jumping on the grunge bandwagon at the time, Ten was instrumental in popularizing alternative rock in the mainstream. 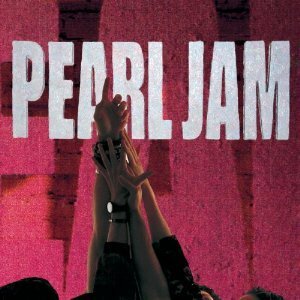 The album has been certified diamond by the RIAA in the United States, selling over 9,800,000 copies, and remains Pearl Jam's most commercially successful album.